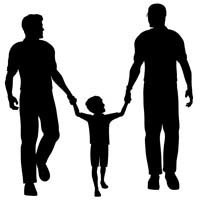 Recently, the State of Florida found that its law regarding Gay Adoption in the State of Florida was unconstitutional. The circumstances which resulted in the States reversal of its position involved a Juvenile Dependency case involving two openly gay foster parents who had been raising children in their care for a number of years. The rights of the childrens' biological parents were terminated by the Circuit Court Judge from the Eleventh Judicial Circuit governing Miami-Dade County, Florida. The two openly gay men sought to adopt the minor children who they had appropriately raised and properly cared for over a number of years. The Circuit Court Judge over the objection of the State Attorney's office conducted a lengthy Trial and determined that since the two men were capable of raising the minor children as Foster Care parents that it was in the best interests of the minor children to be adopted by the openly gay Foster Care parents, even though Florida Law precluded this Adoption. The Circuit Court Judge determined that the Statute was unconstitutional. An appeal was taken from the Circuit Court Judges opinion and the 3rd District Court of Appeals upheld the decision of the Lower Court Judge and thus an Appellate Court has found that the Statute was unconstitutional. The Attorney General's office did not appeal the 3rd District Court of Appeals decision and based upon this result at this time their is a precedent in the State of Florida allowing Gay Adoption. It is possible that a decision will be entered from another District Court of Appeal which will create a conflict with the 3rd District Court of Appeals decision and that would then force the Supreme Court from the State of Florida to resolve this conflict. I practice in Miami-Dade County, Florida and I believe that the case precedent presently allows for Gay Adoption in Dade County.Under these circumstances I am prepared to represent openly Gay and Lesbian individuals seeking to Adopt. Additionally, I practice law in Broward County, Florida and believe that it is necessary for a Gay Adoption to be filed in Broward County, Florida to follow the precedent set in Dade County under the 3rd District Court of Appeals. With either a Gay Adoption being allowed under this precedent or to Appeal any Judges decision in the 4th District Court of Appeals in the event the Circuit Court Judge Feels that Gay Adoption is unconstitutional. This would create the necessary conflict to have the Supreme Court of the State of Florida ultimately reverse an antiquated law which does not preclude gay foster parents from raising children until their eighteenth birthday, but refuses to allow Adoption by All people based upon their race creed or sexual orientation.